In the journey from an operational, to a tactical, and finally, strategic quality assurance (QA) framework, call centers evolve and grow from using QA to address day-to-day short-term operational issues to meeting your organization’s long term business goals. 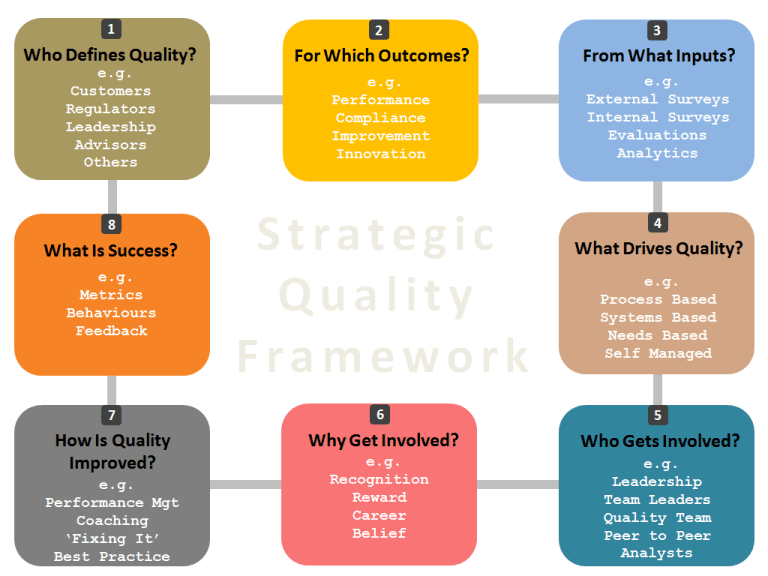 In the course of this process, the QA framework is improving data collection, interpreting, refining and feeding insights into the strategic planning process. To place the strategic call center QA framework definition in the proper context, it is useful to first review operational and tactical approaches. It may also be useful to keep in mind that each QA framework evolutionary stage contributes at different levels to the success of the call center. Many call center processes overlap across these frameworks. Identifying which stage or stages your business is working through will help inform smarter benchmarking, better design and more specific, goal-oriented decision-making. 1. Operational Call Center QA Frameworks: Call centers focused on improving operational goals spend time managing service consistency, deepening process and revising workflows. These represent the short-term, business-as-usual decisions that are necessary to get the job done efficiently on a daily basis. Examples include: measuring QA as part of the daily operation, fulfilling a quota of scores by staff per month, and the identification of poor performers. 2. Tactical Call Center QA Frameworks: Tactical call center QA frameworks evolve into addressing more medium-term goals than would be the focus of operational frameworks. Call centers working on tactical goals are more flexible in their ability to pivot or adapt based on QA metrics. These actions require more foresight and bigger picture thinking than their operational counterpart, but are not quite as transformative as those expected within a strategic framework. Examples of tactical QA goals include: improving client retention, identifying root causes of poor service, looking for broken processes and workflows, trend reporting, and reducing staff churn. 3. Strategic Call Center QA Frameworks: The end goal for ultimate call center QA efficiency is to be working within a strategic QA framework. 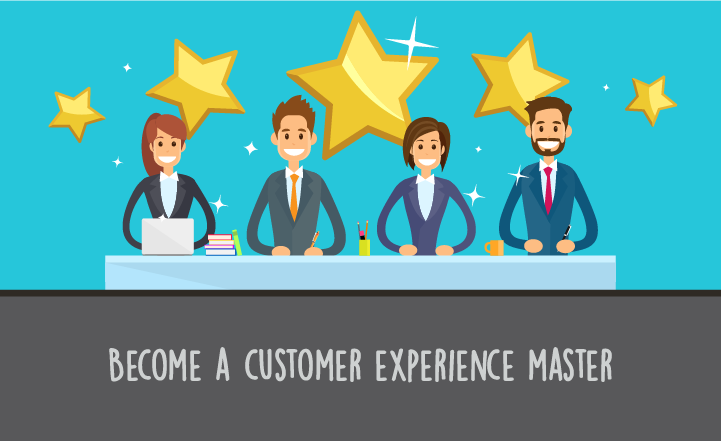 This approach takes into account all critical influences — the business, the customer, the client, and the agent — and aims to seamlessly set the standards, measure and collaborate across these partnerships. Call centers that adhere to strategic QA frameworks are designed to deliver on the businesses strategic objectives and goals. They are structured to analyze, interpret, and share data that may result in actions that drastically depart from previous operational practices. Because this highest level QA format is focused on long-term impact, it must necessarily be facilitated by a top-down approach. Senior leadership is charged with influencing employee buy-in towards the potential cultural shifts that may come about due to key data findings. They are rewarded as top-notch, QA (and the data associated therein) becomes a key differentiator and selling point responsible for significant revenue growth and delivering real shareholder value. Correlating and understanding the connection between Customer experience, customer sentiment, and QA. Considering and reviewing QA from positions of senior leadership, or on the executive board level. Evaluating consistent QA as a senior management key performance indicator (KPI). 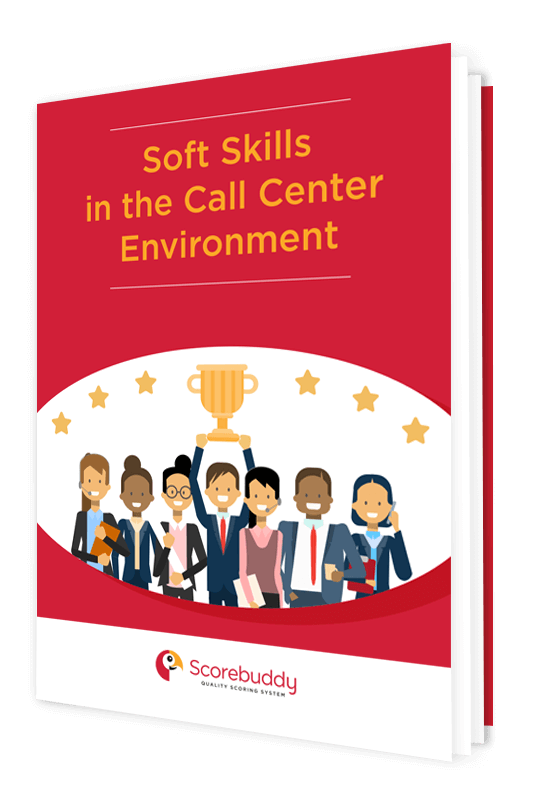 Encouraging call center agents to score themselves as a way to raise levels of self-awareness, and adopt customer positive behaviors. A visual demonstration of bigger picture strategic thinking at work. Discover how higher level strategic partnerships emerge and how quality is driven with this Strategic Quality Framework chart by Martin-Hill Wilson, the founder of customer service and customer experience consultancy, Brainfood. While it may seem as though strategic-oriented frameworks enable call center employees and team leaders the luxury of stepping back to philosophically address the bigger picture, this is not the case. Yes, more time is certainly dedicated to longer-term thinking, but big organizational changes are often necessary as a means to experience growth, consistently high net promoter scores (see #1), and increased returns-on-investment. The question is whether the QA Framework is seen as capable of moving the needle on these headline KPIs? #1 Improve Net Promoter Score (NPS). Net Promoter Score goes a few steps beyond CSAT as it focuses on how a customer might promote, or recommend a given call center’s services. On a scale of zero to ten, only an NPS score of nine or ten qualify as a “promoter.” Promoters are the goal they are the ones most likely to spread the good word about a company or call center. The others classified as either “passives” or “detractors,” and as their names suggest, are not very helpful. #2 Increase customer loyalty. Customer loyalty metrics look beyond first-time callers and one-off interactions and focus instead on repeat business rates. 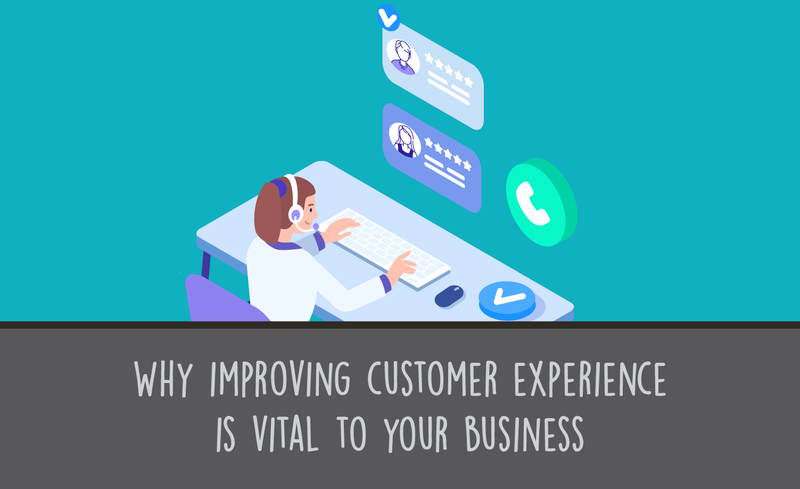 Knowing who these people are, where they are coming from, and why they continue to come back proves to be invaluable client and call center information. #3 Use QA as a key differentiator. As QA data collection and the streamlining of data interpretation improve, QA shifts from a poor performer identifier in an operational framework to a selling point to potential clients in a strategic framework. #4 Improve the propensity to purchase. The end goal is to increase sales. While operational QA frameworks are concerned with providing consistent service, a strategic approach is to examine how that service is impacting a customer or potential customer’s propensity to purchase. First, identify under which framework your call center currently exists: operational, tactical, or strategic. Next, be certain your call center is prepared to evolve to the next framework. Strategic, for example, requires the cooperation of senior leadership, so make sure the key players are aligned in their focus on growth. Remember also that call centers rarely, if ever, fall exclusively under one framework and that these are constantly shifting and overlapping constructs. Braindfood’s Martin H. Wilson shares some valuable insights in moving towards a strategic framework. In his recent study, “Setting Your Customer Service Strategy,” Wilson suggests shifting the following operationally-focused call center ideas to ones of greater impact and significance. He encourages call centers to move from siloes and regimented thinking to a more creative approach. There are 41,500 call centers in the US alone where call center operations are forecasted to create 365,000 new jobs in the next four years. Competition continues to rise along with innovative strides in customer service surrounding AI, live chat, and voice interfaces. 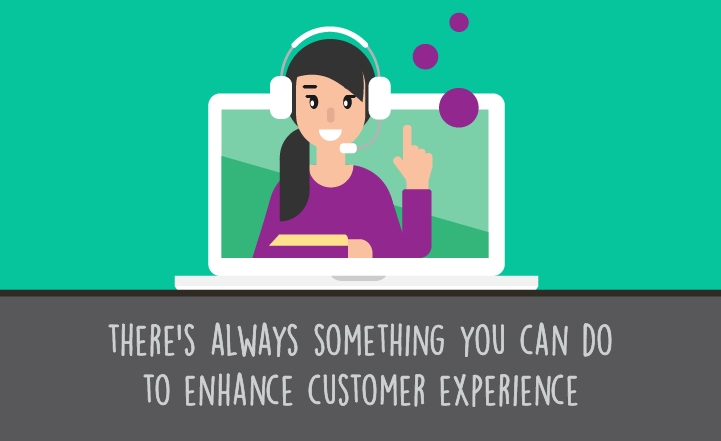 Evolving from ‘always the same’ to ‘always evolving’ is the future of call center QA. While it is expected that call center leaders may find themselves engaged in different points along the quality assurance journey, to refuse to evolve in this fast-growing industry is failure. To evolve through operational, tactical, and strategic frameworks can point you toward greater success.